When they have blocked drains St George residents call 02 8789 2512 for Blocked Drains to the Rescue. You know we’re the most trusted, qualified, and experienced drainage plumbers St George has ever seen – active in the region for over 30 years. With on-time service, prioritised quality repairs, and trustworthy tradies, we’re your go to. You can rely on us. You need locals. We’re always nearby, always ready to rescue you! Your drain clogs. Your toilet won’t flush. Your sink won’t empty. It’s time to call the experts. Don’t reach for your plunger. Don’t waste time. Call the experts, now. Call us on 02 8789 2512 or click here to book your job online. We’re always ready to rescue you! We service the entire St George region. For a complete list of suburbs, see below. Not listed? Never fear, call us! We’re always nearby in the area, always ready to rescue you – so don’t wait to get in touch. We’re St George’s most trusted drain plumbers. Call us. Your local experts. Get in touch today on 02 8789 2512 or click here to book your job online. Trust your experts. Trust us. Drain Plumbers St George trusts. We’ve got the qualified, licensed, insured and experienced tradies you’ve been looking for. With over 30 years in the game, we’re the most efficient plumbers in the business. Here’s what you can expect. You’ll always get on time service. Every time you book a job, we’ll confirm and schedule a suitable appointment time that works for you. This means you’ll never lose time waiting around. With GPS tracking on all of our technician’s vehicles, we’re on time every time, able to pinpoint the closest tech to your job. And, we can get them on site ASAP.Once on site, you’ll get a full inspection. Then, and only then, we’ll give you an up-front quote. This means you’re always getting the most honest, transparent quote possible, with the clearest view of the costs. We won’t deviate from this price. Because you only pay by the job, not the hour, you’re getting a great deal. You can trust us for quality repairs. All of our jobs are performed to the utmost standard, with a 100% workmanship guarantee. We’ll warranty all of our work – for life. Our peace of mind guarantee leaves you knowing you’re in safe hands. We’re the drain experts St George relies on. All our experienced, licensed, trusted tradies are blocked drain specialists – we’ve got everything we need to get the job done. With over 150 specialist tools in each of our fully stacked vans, we’ve got everything we need to get your job resolved on the spot. This means no more waiting around. We can start work as soon as we have your approval, meaning a same day rescue on all standard jobs. On more complex repairs, we’ll work speedily and efficiently, meaning there’s no time wasted on site. We’re always around when you need us, working towards cost and time efficient repairs that will last the difference. The most reliable technicians in the business. You can trust us for on-time service, on-time repairs, and on-site advice. All from the leading experts. Because we provide weekly training and up skilling to all of our team, you’re only getting the latest, cutting-edge solutions to your drainage problems. Across St George, we work with the latest tools and techniques to fix every kind of blocked drain residents have seen. Trust us. 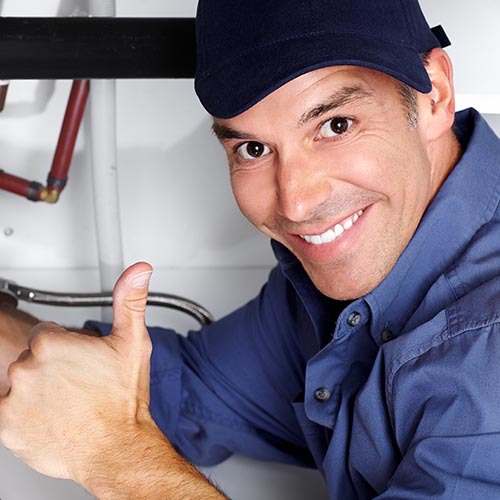 We’re your go-to drain plumbers St George wide. Don’t wait: call us today on 02 8789 2512 or click here to book your job online. We’re always nearby, always ready to rescue you! St George stretches along Georges River, on either side. It’s a sprawling area, reaching up from Rockdale as far south as Gymea. With riverfront views along many of the more desirable properties and areas, coupled with great shopping areas, amazing food and a diverse community, the St George region is a great place to live. The mix of bushland, rife with local wildlife – including birds and the odd goanna – and the proximity to the Royal National Park makes this a fantastic place. With so much to do and see, it’s no surprise that the St George region has attracted many people from all walks of life, countries, and places around Australia to its welcoming community. Don’t doubt it: we’re the blocked drains St George plumbers who know your area. We’re always nearby, working with locals to resolve all kinds of blockages. Clogged loo? Stinking sink? Gurgling pipe? Call today. Call us on 02 8789 2512 or click here to book your job online. We’re always ready to rescue you!